One of the greatest musical movie from 60's 'The Music Man' getting a remake starring Hugh Jackman and opposite star Sutton Foster. 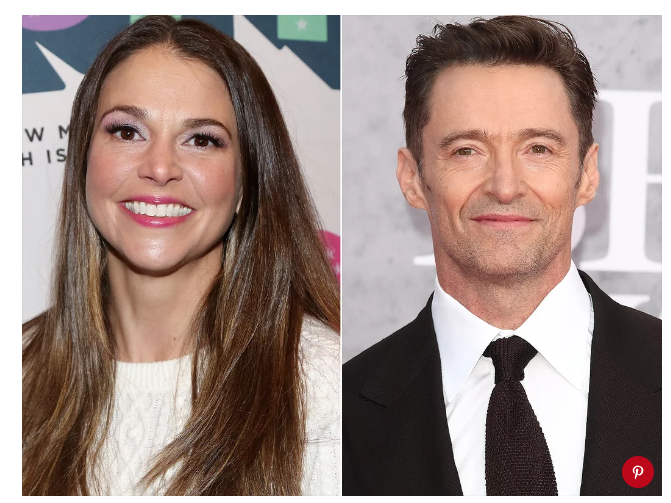 On Monday, Hollywood theater producer Scott Rudin announced that Sutton Foster, the two-time Tony Award winner and breakout star of “Thoroughly Modern Millie,” will be returning to star opposite Hugh Jackman as Marian Paroo in the forthcoming revival of 'The Music Man'. Though the 44-years-old actress was on a six-year break from the Broadway stage, no one can deny her tremendous talent. Sutton won her first Tony Award for Thoroughly Modern Mile in 2002 and later stealing her second Tony for Anything goes in 2011. Sutton Foster and Hugh Jackman in 'The Music Man'. Well now she is back - Foster is said to play the role of Marian, a librarian from a small town who isn't fooled by Harold Hill (Hugh Jackman), a traveling conman who pretends to be an organizer of a boy band and plans on escaping after he collects money for instruments and uniforms. Hugh posted a cover photo of him (Harold) and Sutton (Marian) on his Instagram from one of their romantic sequels from their upcoming movie. The Greatest Showman is about to be a music man when he starts to be part of the 2020 revival. Jackman first teased the announcement on Tuesday 12th march with the promotional image from his Instagram. The four-time Tony Award winner Jerry Zaks previously directed Revival with the choreography by fellow Tony winner Warren Carlyle. Meanwhile, The Music Man will begin performances on September 9, 2020, and officially open on October 22, 2020. The musical film firstly released in 1962 by Warner Bros Entertainment starring Robert Preston as 'Harold Hill' and H Shirley Jones as 'Marian Patoo'. The Music Man was originally derived from a musical book, music, and lyrics based on a story by Wilson and Franklin Lacey. The mellow romantic movie is set to be released on October 22, 2020. So, are you guys excited for the reboot of one of the prominent plays from the '60s?